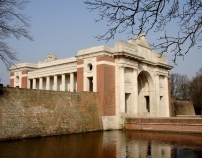 On 22 July, 1915 the 14th Division relieved the 3rd Division at Hooge in the Ypres Salient. 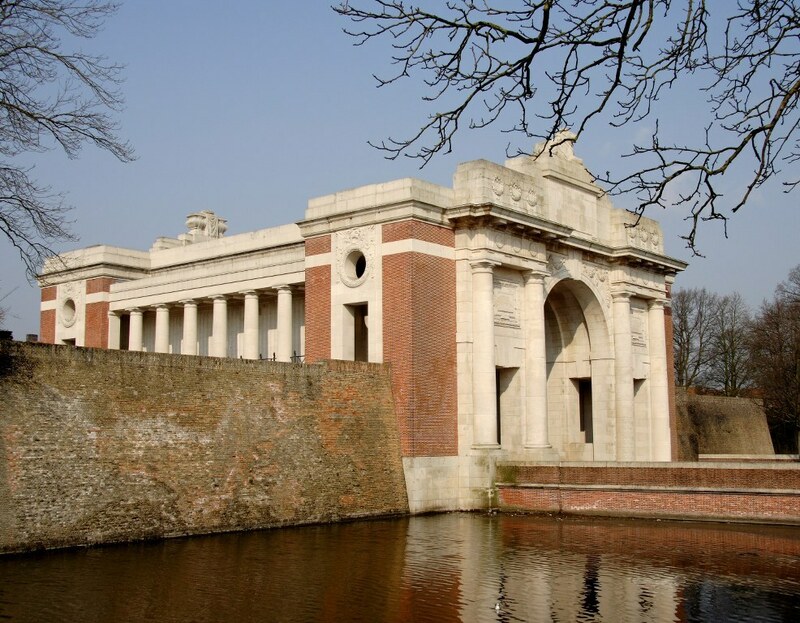 As a parting gift, the 3rd Division had exploded an enormous mine which brought into existence the famed Hooge Crater. On the night of 29th-30th July, 8th Rifle Brigade, 41 Brigade, took over this sector. They were new to the trenches. They had only been in France since May and the Germans opposite were aware of their lack of experience and that that they were total strangers to the positions they had just taken over. So they attacked at 3.15am using liquid fire for the first time, spewing it out from pipes that passed though their parapet. What it was like when these jets of flame and thick burning smoke hit the front line of trenches of 8th Rifle Brigade we will never know because no-one from the two companies who manned it survived. Those on the periphery spoke of the intense heat. The Germans then opened up with artillery and machine guns. German infantry followed and 8th Rifle Brigade were overwhelmed, Eventually they were forced to fall back with losses of nearly 500. On the right of 8th Rifle Brigade were 7th King’s Royal Rifle Corps, also of 41 Brigade and they now found themselves fired on from all directions as the Germans moved forward. There followed a period of desperate trench fighting during which trenches were lost and retaken. The Germans brought up their Flammenwerfer but rapid fire from 7th King’s Royal Rifle Corps prevented it from being used. In the end only a small sector of their trench line was lost. An immediate counter attack was ordered to try to regain the lost trenches. The two exhausted battalions that had just been relieved, 7th Rifle Brigade and 8th King’s Royal Rifle Corps, both of 41 Brigade, were hurried back to the front to join a shattered 8th Rifle Brigade and a battered 7th King’s Royal Rifle Corps in the attack that was launched at 2.45 on the afternoon of 30th July. With tired and depleted battalions attacking in broad daylight it was almost bound to be a failure and that is indeed what it turned out to be. Not a man got within 150 yards of the Germans. There was a degree of success on the left flank where 9th King’s Royal Rifle Corps, supported by 9th Rifle Brigade, both of 42 Brigade attacked up the front line trench and regained some ground but at the cost of a large number of casualties.